Vala Publishing plans on releasing a variety of hard to find eclectic music from our extensive archives. We are just starting out, more information will be available soon in our catalog. 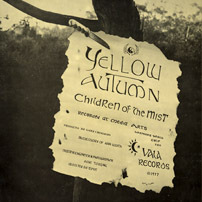 Vala Publishing is the home of "Yellow Autumn", the late 70's Psych-Rock band! 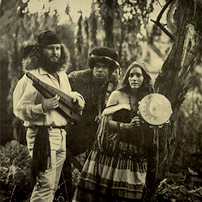 We will be re-releasing their original album "Children of the Mist" to CD and downloadability shortly. And more than two decades after it was recorded, their second never-released album will also soon be available as well! Vala Publishing also does short run CD and DVD printing and duplication. We have a Rimage 2000i at our disposal and can do duplication runs from 5 to 1000 copies of CD's and single sided DVD's in either bulk or in sleeves. We have competitive pricing for our services, and we can also provide graphics as needed for an extra charge. Although we recommend for runs over 300 copies that you seek out a larger duplication house that does true replication, we will do all we can to accommodate your needs. We are physically located in Chico California. For more information, please see our CD/DVD page.